My friends and I have a great fondness for burgers (some even call us “burger fanatics”) and this guilty indulgence actually brings us closer as we are always on the go to search for the nicest burgers in town. Our stop last week was The Daily Grind which is known as the very first gourmet burger restaurant in Kuala Lumpur. The restaurant quickly won our hearts for its wide range of crafted and adventurous creations with high-quality ingredients and delectable homemade sauces. Its retro yet laid-back ambiance is also suitable for our casual meet-up. Patrons come to the restaurant are pampered with a plethora of delights featuring Burgers, Light Bites, Comfort Food and more. 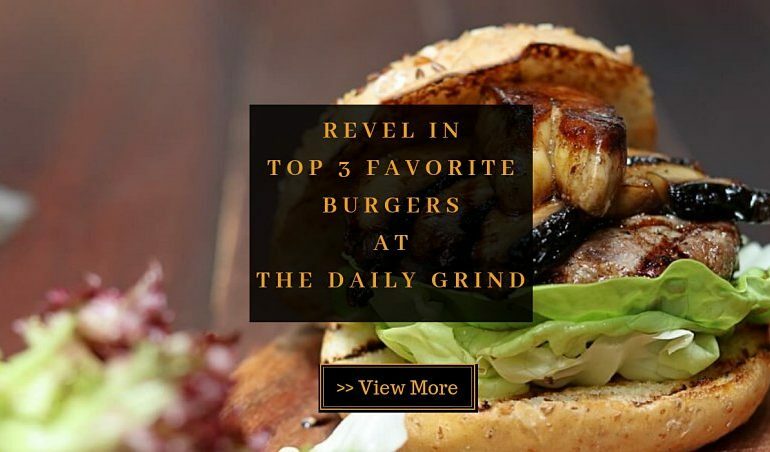 If you want to relish the best burgers at this restaurant in your next visit, check out the following 3 burgers which have always been the top choices of frequent diners here! 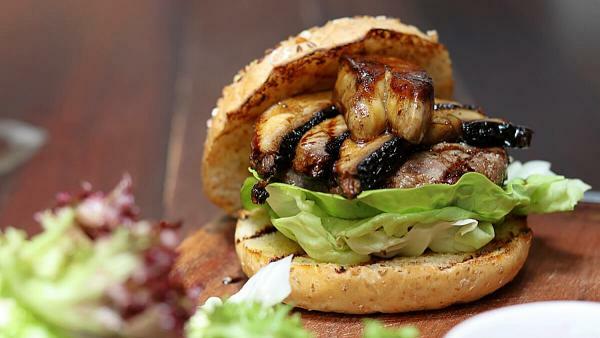 The first burger – Foie Gras Burger, easily whetted our appetite just by its glamorous appearance! The premium Australian beef patty and the skillfully pan-seared foie gras are to die for! The beef tempted our taste buds with its tenderness and juiciness while the foie gras melted on the tongue, exuding distinct flavors which were complemented by the balsamic palm sugar glaze. Portobello mushroom and onion cranberry jam were added to balance the taste, making this burger our top favorite! Another hard-to-resist delight is this Downtown Tokyo. 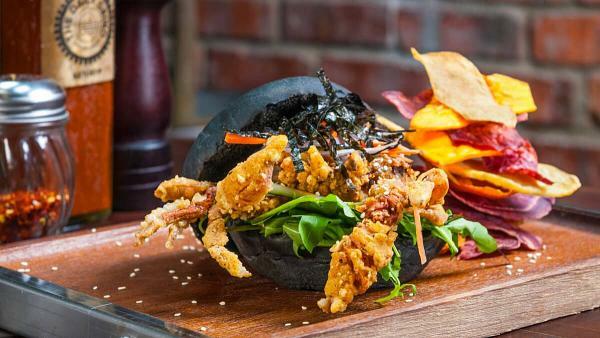 Inspired by Japanese cuisine, the burger is made of deep-fried soft shell crab with a touch of wasabi mayo and some rocket leaves served in charcoal buns. We were a bit doubtful at first to try this exotic patty but we then immediately fell in love with the combination. The soft-shell crab was perfectly fried to reach an incredible crunchiness whereas its taste gave a mild kick on the tongue. A wonderful experience. Sloppy Joe – as its name suggests, is best to enjoy messily! 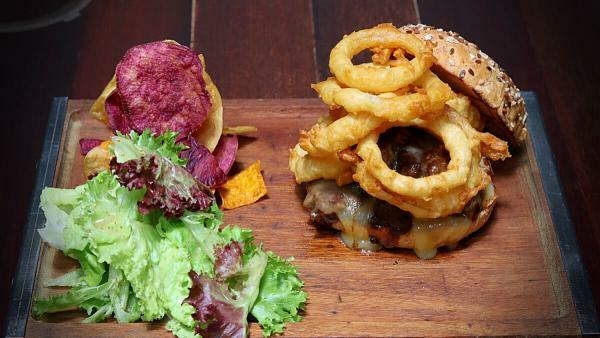 The burger is made of sautéed beef patty in barbecue sauce, melted cheese and topped with onion rings. We were overwhelmed with the big portion of the burger yet excited at the same time! Sumptuous cheesy beef patty mingling with crunchy onion rings, this classic burger is a delightful mess which would make you come back for more. TABLEAPP ELITE members can redeem these 3 dishes for free. Find more information about TABLEAPP ELITE here!